We will all make thousands of recommendations over our lifetime. Statistics and experience show word-of-mouth is the number one purchase influencer with 70 per cent of our brand mentions coming with a recommendation. After all, how did you meet your hairdresser, your dentist or find the perfect restaurant on your last jaunt? Over a year ago, my business partners and I began an exhaustive discussion about the current state of shopping online, from the perspective of selling with our own e-commerce business, Our Paper Life and as buyers ourselves. The discussion was centered around a referral I had made to two friends for a pair of expensive winter boots at a major shoe retailer. After I wore them out at a gathering, my friends asked me the ever-so-popular, "Where did you get those?" and both ventured out to make the recommended purchase (luckily in different colours). I had done the work of a salesperson for this brand, yet it was without as much as a thank you card accompanying it. We will all make thousands of these type of recommendations over our lifetime. Statistics and experience show word-of-mouth is the number one purchase influencer with 70 per cent of our brand mentions coming with a recommendation, according to a MediaVest Keller Fay Group Study in 2008. Word-of-mouth is implicitly tied to social networks: when a new trend or cool product emerges it can be spread at an exponential rate through recommendations and chatter. It easily defies the linear rate of traditional ad-based marketing. American Hoisery giant, Spanx, established in 2000, is often cited as a case study as to the momentous power of growing a brand through using word-of-mouth. Creator Sara Blakely strayed away from traditional ad-based marketing because she didn't have the money and simply expressed that "people trust advice." It is the exponential spread of information among social circles that propelled Spanx into a global phenomenon. Other examples of brands which were founded without advertising include Ferrari, Ben & Jerry's and even Lululemon, which originally opted for personal experience in-store and conversations between customers. Ultimately, our team decided to create our own e-commerce platform which would provide a simplified vehicle to facilitate word-of-mouth recommendations. Many of today's e-commerce giants have instituted these sort of affiliate marketing programs but as a complicated add-on or after thought. Framestr.com allows users to earn cash rewards for recommending a product to a friend by sharing their own unique auto generated links. Vendors choose the dollar value of a commission on a product which is displayed on any product page (often between 5-15 per cent). This process naturally attracts new fans, converts them into brand ambassadors, as well as encourage current ones to earn a reward for the recommendations they already make. The future of social commerce is one in which customers are inextricably linked to businesses in that they can become a partner in their success. For a new business, it can often feel like you are standing out in the cold without the financial means to pay seller fees or pay per click advertising costs. Why not use established social networks to gain influence and brand awareness lower your own sales, marketing and advertising costs?" 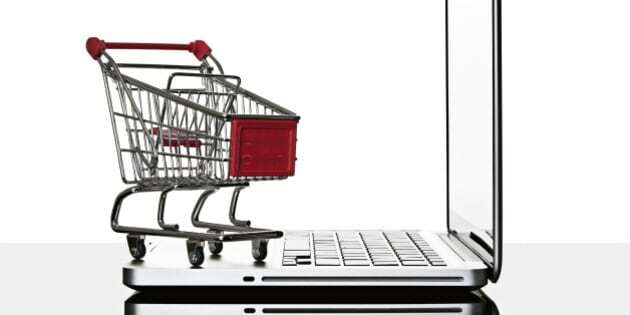 Is what we buy online truly best for us, or has it been corrupted by the gargantuan effect of multi-million dollar corporations and swollen ad budgets? After all, how did you meet your hairdresser, your dentist or find the perfect restaurant on your last jaunt? Social Media has resulted in an avalanche of electronic word-of-mouth which reaches infinite audiences in seconds. It provides a platform for our offline conversations to connect trusted parties. The conflation of e-commerce and social media is set to dramatically change the way we connect, curate, recommend and shop online.